Radiator Blog: Ludum Dare #21: FuhFuhFire! 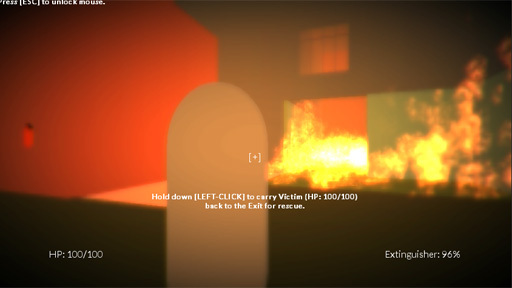 For Ludum Dare #21 ("Escape"), I made "FuhFuhFire," a short Unity-powered web FPS where you set fire to a building and then rescue people from it. Do you try to rescue everyone but leave others behind?... or do you just escape alone? Dynamic fire propagation / level destruction, physics thingies and 8 different endings. Wow! WASD to walk, SPACE to jump, MOUSE to look, LEFT-CLICK to do stuff. C'mon, just give it five (5!) minutes of your time and play it in your browser here. Project source in all its hacky glory is here too.